The notoriously corrupt Kansas Judge Ron Svaty continues to perpetuate a preposterous paternity fraud in an effort to cover-up MorganStanleyGate, and he seems to be stepping up his efforts to save his own career, livelihood and liberty. This is because his outlandish criminal acts warrant his removal from public office and imprisonment in order to protect the public from this amoral pathological monster. Specifically, his actions comprise a dastardly scheme to besmirch the character of former Wall Street Executive, Spencer C. Young, who has been exposing the ever-expanding criminal wrongdoings of Morgan Stanley, and by so doing, discredit the mounting damning allegations against this bank. 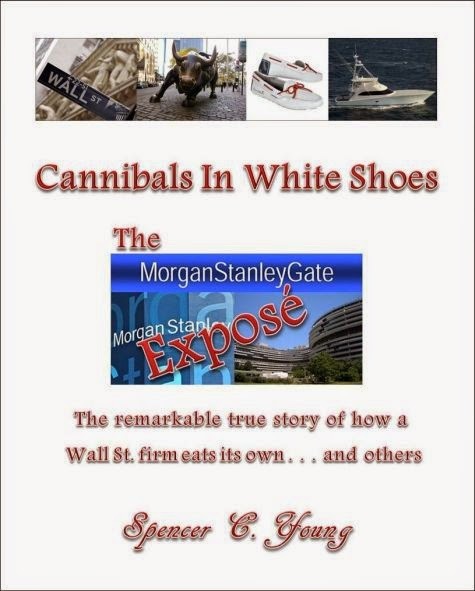 Importantly, Mr. Young is pursuing extensive criminal and civil claims against an astonishing and ever-growing number of people and organizations who are now part of this massive scandal, which augments with the increasingly outlandish efforts to cover it up, the particulars of which are detailed in his upcoming exposé, Cannibals In White Shoes. Svaty's role in this tawdry cover-up has been to maliciously depict Mr. Young as a deadbeat father: (1) to a child that is NOT his; (2) through a remote judicial branch in rural Kansas with NO Jurisdiction; and (3) in a state over 1,000 miles away from any parties that comprise this entirely concocted hoax. And the ulterior motive is even more disturbing, in that Mr. Svaty's diabolical canard is to serve as the foundation to eventually arrest Mr. Young for failure to make bogus child support payments which Svaty knows are . 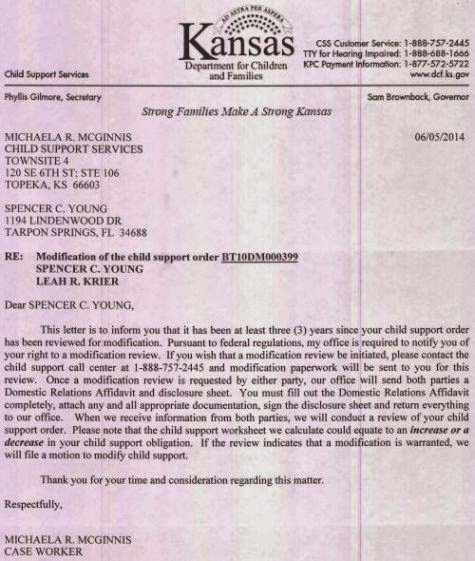 . .
Chris Kellogg - Attorney - KS Child Support Svcs. Renee Schremer - Program Administrator - KS Child Support Svcs. As a result of Svaty's Audacious Paternity Fraud . . .
Mr. Young continues to receive a barrage of baseless, nonsensical and harassing letters that attempt to give Svaty's Paternity Fraud an appearance of legitimacy; however they are each as genuine as a three-dollar bill.